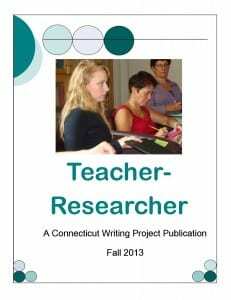 Most Writing Project sites have to use their Teacher Leadership Grant funds to support their Summer Institute. 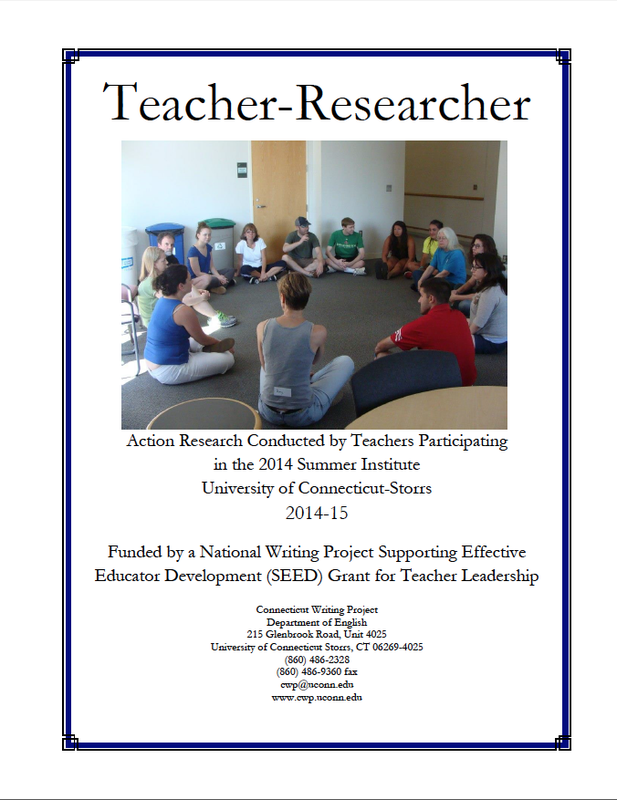 Since the CWP—Storrs site receives an Aetna Endowment as our principal source of funding for the Summer Institute, we are able to award teachers who attend the SI an action research mini-grant of $300. Teachers use this funding to continue their summer research during the school year. Each teacher submits a proposal, a mid-year report, and a final report to show how they used their funding. Teachers buy books and attend conferences, present their research to colleagues in their buildings and departments, use their research to design writing centers for their schools and build classroom libraries for their rooms, and a few have even had proposals drawn from their research accepted for presentation at local, regional, and national conferences, and in one case even at an international conference. We hope the ideas contained herein will inspire other teachers. 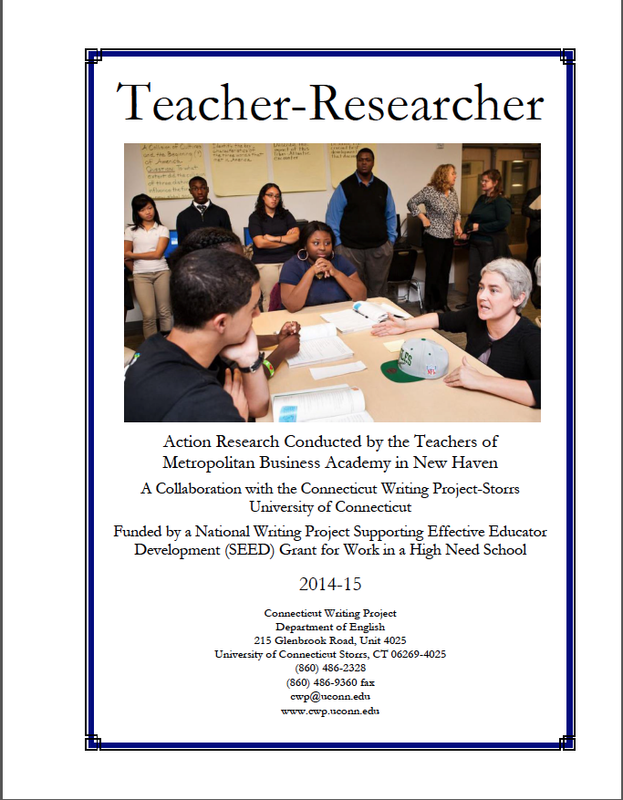 In 2013, Metropolitan Business Academy in New Haven hired the Connecticut Writing Project (CWP) to work with their faculty after one of their English teachers—Steve Staysniak—attended the Summer Institute (SI). After the CWP worked with the Metro teachers for a couple of years, partnering with them for a High Need School Grant was the next step in a logical progression. Metro presents some interesting opportunities because they are a small magnet school with only 30 teachers on staff, so we were able to work with a critical mass of the entire staff. We did some traditional professional development (PD) during the 2014-15 year, but mostly we facilitated an elaborate action research program that involved 19 of the 30 teachers in the school, with three teachers—Steve Staysniak, Leslie Blatteau, and Danielle LaPan—in leadership roles helping the director oversee the 19 individualized action research plans, which are presented below. Stephanie McKenna (PDF), Wethersfield High School. Stephanie used her funding to purchase a collection of Scholastic book club books for her students to study choice in book genres and how it changed student views about reading. Stephanie participated in CWP's Summer Institute 2005. Jon Andersen (PDF), Quinebaug Valley Community College. Jon purchased a color laser printer and a document binding machine in order to build a student press for the publication of student writing. John participated in CWP's Summer Institute 2009. Hannah Magnan (PDF), Bolton High School. To study the effects of self-selected reading upon student reading and writing, Hannah purchased multiple copies of approximately fifty titles of mostly contemporary fiction in order to build a classroom library for her students. Hannah participated in CWP's Summer Institute 2009. Rebecca Pilver (PDF), Hall Memorial School. Rebecca used her grant to purchase two HP netbooks and teacher journals in order to study the role that wikis could play in writing instruction. Rebecca participated in CWP's Summer Institute 2009. Alex Rode (PDF), Ledyard Center School. To study the integration of technology into the classroom, Alex purchased an LCD projector to use for multimedia presentations and to project word documents as they are edited and revised. Alex participated in CWP's Summer Institute 2008. Lynda Barrow and Marcy Rudge (PDF), Annie E. Vinton Elementary School. To study the effect of publication on student writing, Lynda and Marcy purchased supplies to run a publishing center, and also paid small stipends to local writers to come work with students. Lynda and Marcy were participants of CWP's Summer Institutes in 2008 and 2007, respectively. Their work is featured in the PWR Anthology. Lenore Grunko (PDF), EO Smith High School. Lenore used her minigrant funds to defray costs for the production of a student play to study drama and writing. Lenore participated in CWP's Summer Institute 2003. Tara Achane, Mansfield Middle School. To improve her use of the Writer’s Notebook, Tara purchased a video camera to videotape the classroom so that she and the students could use the video to reflect upon their participation in the workshop classroom. Tara participated in CWP's Summer Institute 2007.